French architect Eugene Bliault designed this marvelous structure that was built between 1915 and 1927. 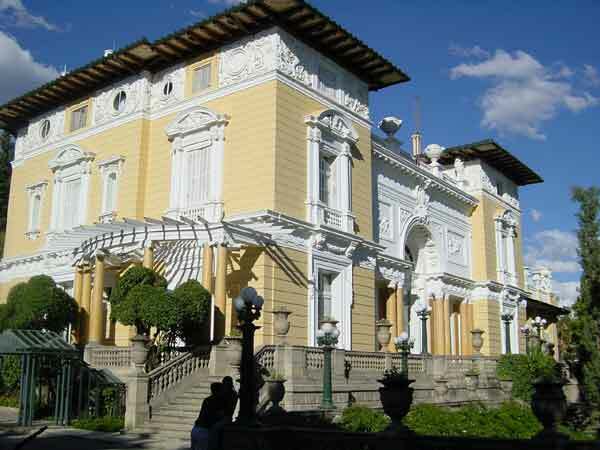 In this palace lived Simón Iturri Patiño, the Bolivian millionaire once known around the world as ¨The Tin Baron¨. The estate demonstrates an ecclectic mix of architectural styles harmoniously integrating. Japanese experts designed the Palace´s gardens to resemble those of the Versailles Palace in Paris. 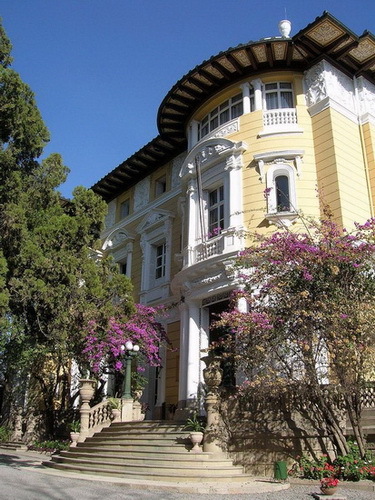 The estate now functions as the Simón I. Patiño Pedagogical and Cultural Center. Tuesday to Friday: Guided Tours: 15:30 Span., 16:00 Engl., 16:30 Span., 17:00 Engl., 17:30 Span., 18:00 Engl. Saturday: Guided Tours: 9:30 Span., 10:00 Span., 10:30 Engl., 11:00 Span., 11:30 Engl. Sunday: Guided Tours: 11:00 Span., 11:30 Engl.